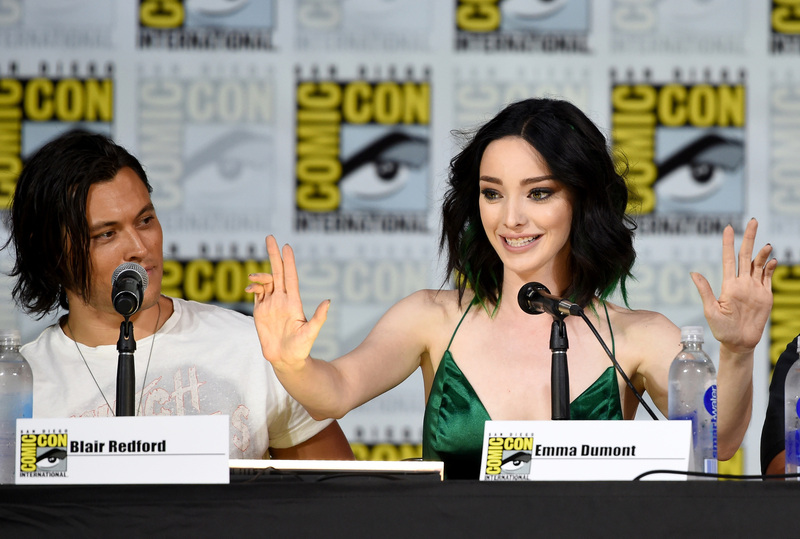 The cast of The Gifted ran to the Comic-Con International in San Diego this past weekend, hosting a panel for the show, an autograph signing, a press room (that sadly due to time constraints we were unable to attend), and even an afterparty co-sponsored by IGN. Cast members including Amy Acker, Percy Hynes White, Stephen Moyer, Natalie Alyn Lind, Coby Bell, Jamie Chung, Blair Redford, Sean Teale, and Emma Dumont, and creative talents including Lauren Shuler Donner, Matt Nix, and Derek Hoffman were among the talent that attended the events. Thankfully for those who weren’t able to attend, FOX released a lot of photos – more than 130 if you would like to be specific – so, hopefully you’ll see some of your future Gifted favorites within! RELATED: See the newest trailer for The Gifted from Comic-Con!